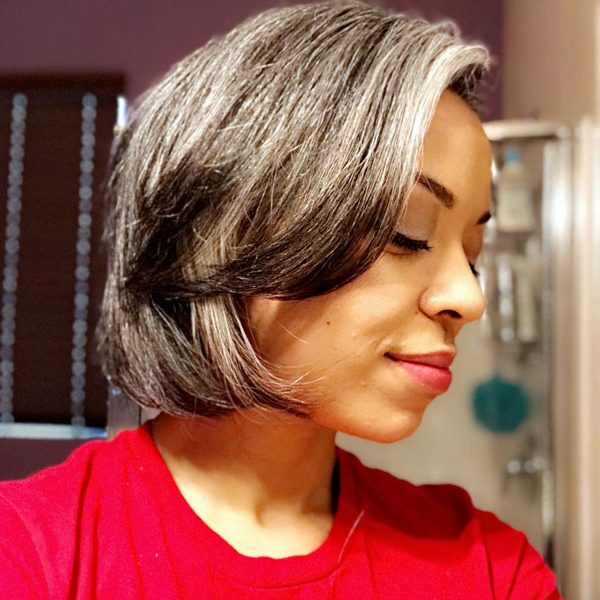 If you are a silver sister who browses Instagram or YouTube, you have probably seen Rhiannon’s gorgeous gray hair transition journey (if not you, can you find her on Instagram @silver30s and on Youtube at Rhiannon G). 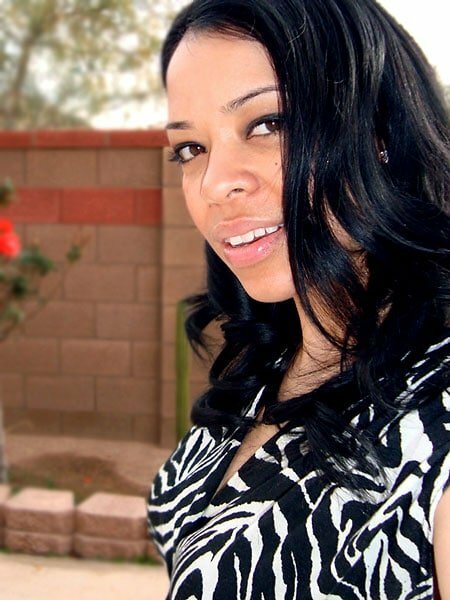 Rhiannon is from Arizona, USA and is 38. 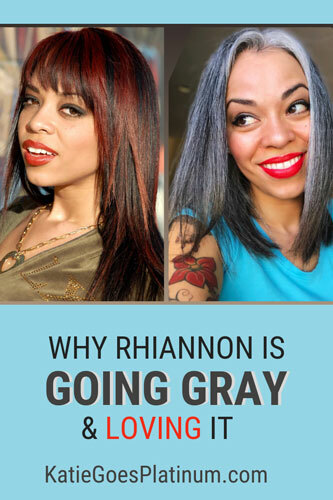 She is an inspiration, and her sparkling personality matches her sparkly hair! 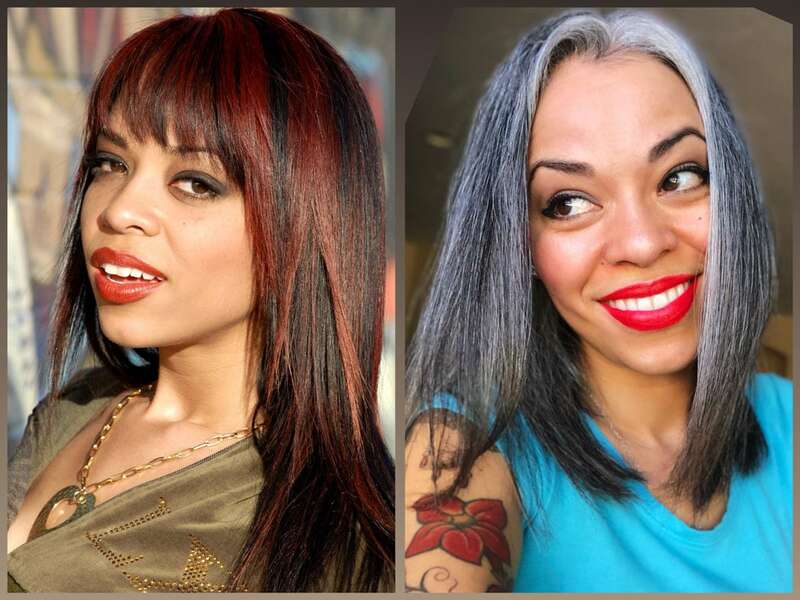 Hair color, whether natural or artificial, has always fascinated me. When I was a teenager, my friends colored their hair wild, neon colors. That was one of the main reasons I longed to attend a public school. I wanted to be free to express myself in loud, colorful ways. However, because my parents were pretty strict, I wasn’t allowed to do risky things with my hair. It wasn’t until I turned 17 that my mom finally let me use a color-depositing shampoo on my brunette hair. 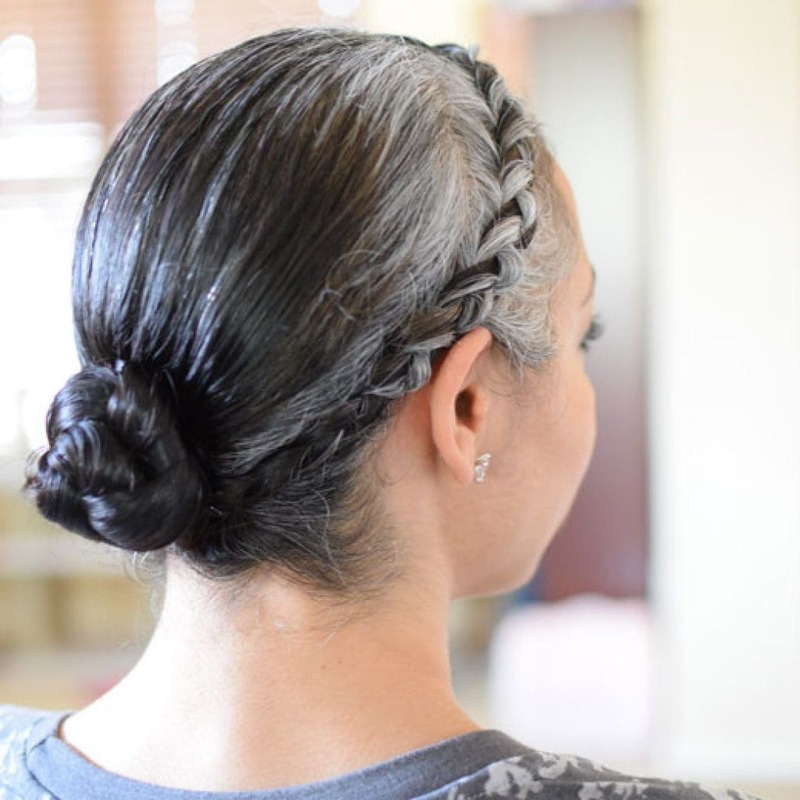 At the time, I’d only had a couple strands of grey hair. Nobody noticed them, and they didn’t bother me. I found the first one when I was 16, and I plucked it right out of my scalp and saved it in a velvet ring box. Weird, I know. I’m sentimental like that, LOL. 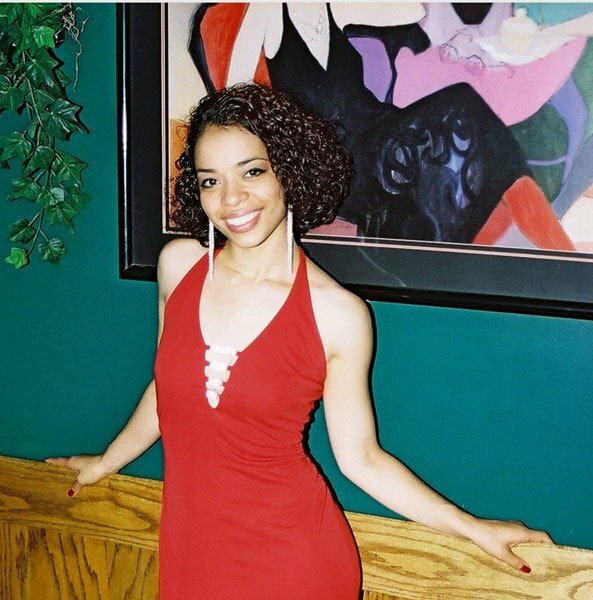 When I turned 19, I started the long journey of that salon lifestyle. You know what I mean… Sitting in a chair for hours, trying the latest trendiest highlights and colors until my heart was content. And it never was content because I was so easily bored with my look after having the same color for too long. 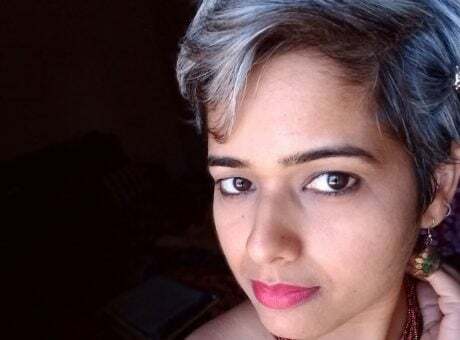 When I didn’t feel like making the trek to my favorite salons (keep in mind that I had to seek out stylists who knew how to handle my naturally curly hair, before curly hair was popular), I’d purchase my own boxes of hair dye and change my hair color at home. 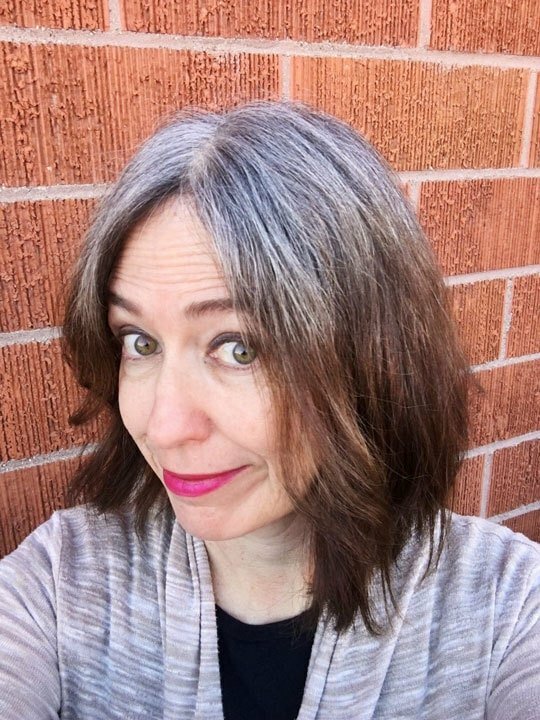 I continued back and forth between salons and boxed hair dye for nearly two decades. 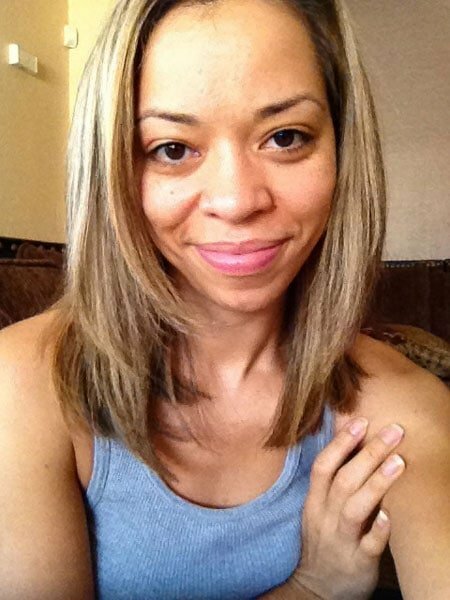 In my 20s, my husband caught a glimpse of my natural hair color, because I’d waited too long between dye sessions. He practically begged me to grow it out. 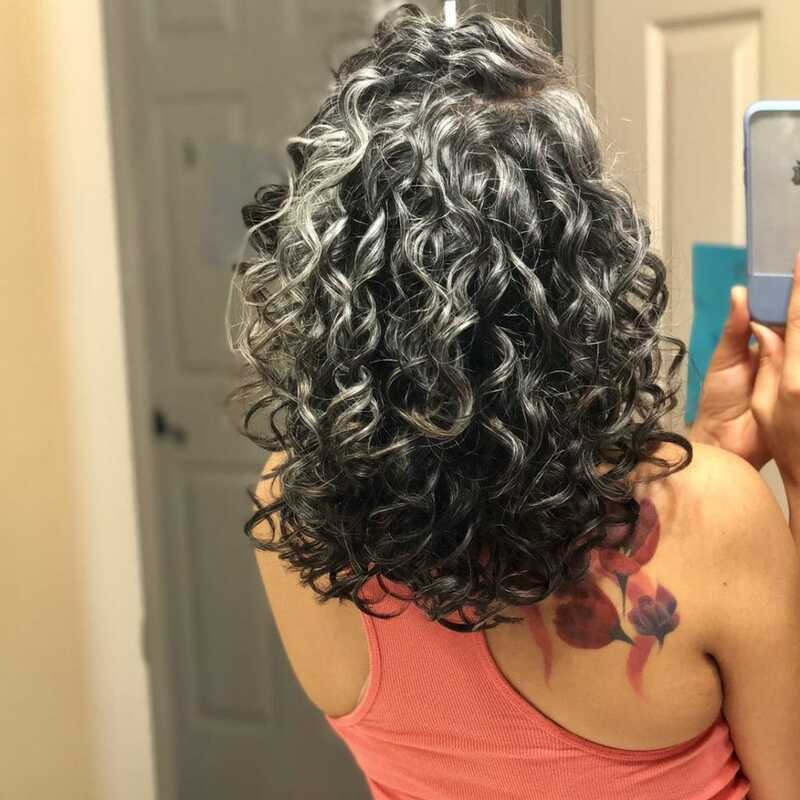 I’d noticed over time that my grey was becoming more obvious, but I was having way too much fun with hair color to grow it out. 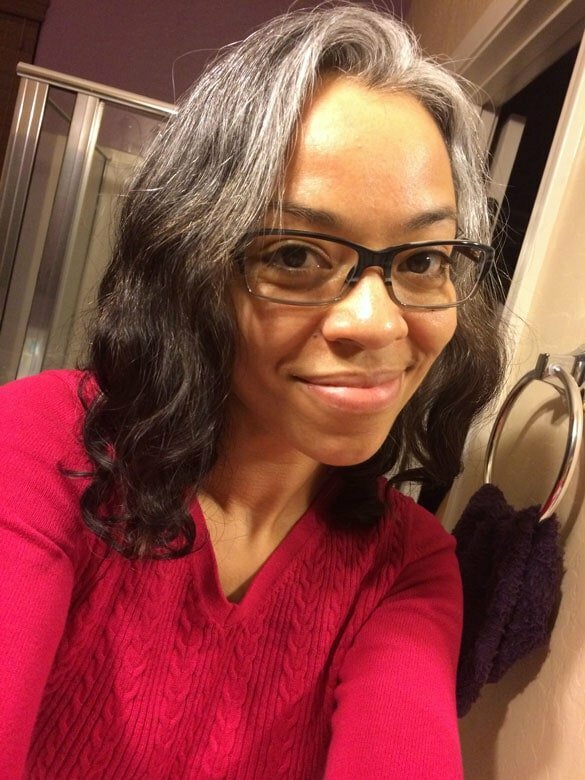 Plus, I wasn’t a fan of even having grey hair in my 20s. It just wasn’t for me. I didn’t think it looked good on me, but there was no way for me to know for sure because I was judging the 1-2 inches of growth peeking through my permanent hair dye. In my early 30s, I noticed that hair dye was becoming less effective as far as full coverage and accurate color brilliance. 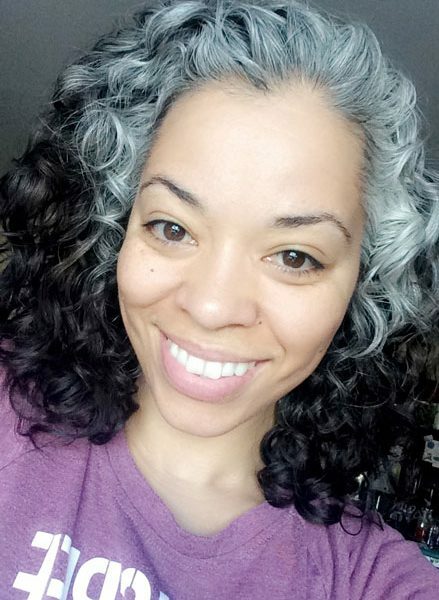 My stylists informed me that my stubborn grey hair was the issue. 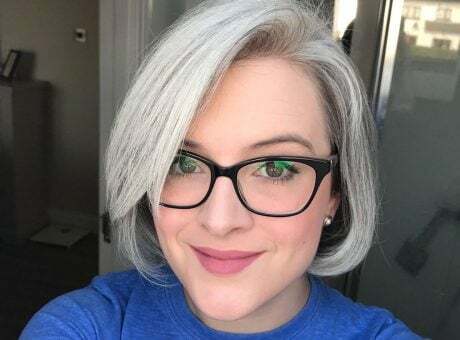 In addition to that, I wasn’t pleased with the contrast of my warm blonde highlights against my cool silver (and black) roots sprouting every few weeks. That’s when I decided that all my efforts to achieve the “perfect dye job” were a total waste of my time and money. 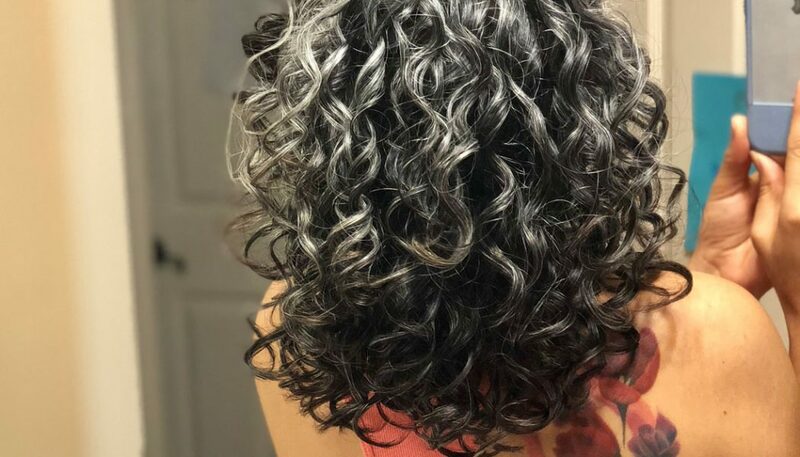 So, at 36-years-old, I finally gave into my husband’s demands (lol) and started to grow out my natural hair color, one month at a time. 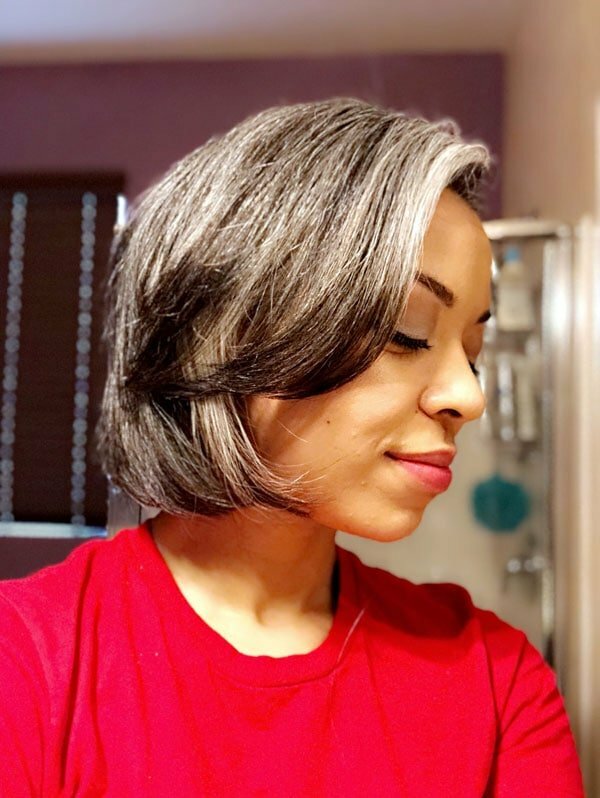 I had no idea that grey hair was an actual movement until I discovered the Facebook support groups and the Instagram profiles of women just like me who were either beginning their grey hair journeys or who have been living a dye-free life for years! 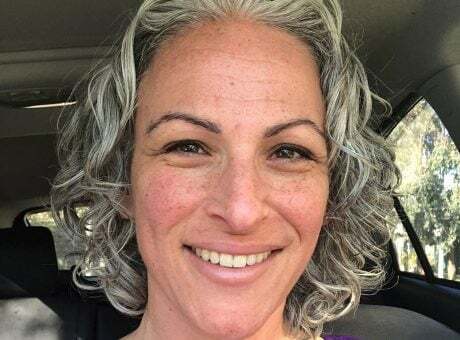 The first women I discovered during my quest for women who went grey at a young age were Sara Sophia Eisenman and Nikol Johnson. 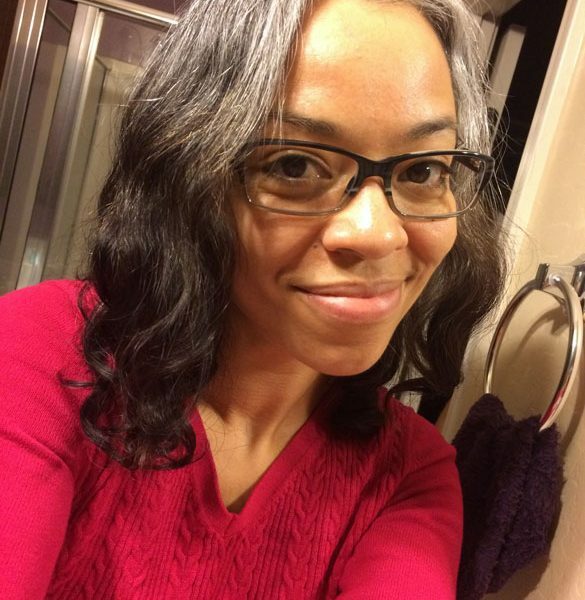 They blew me away, since grey hair didn’t age them. 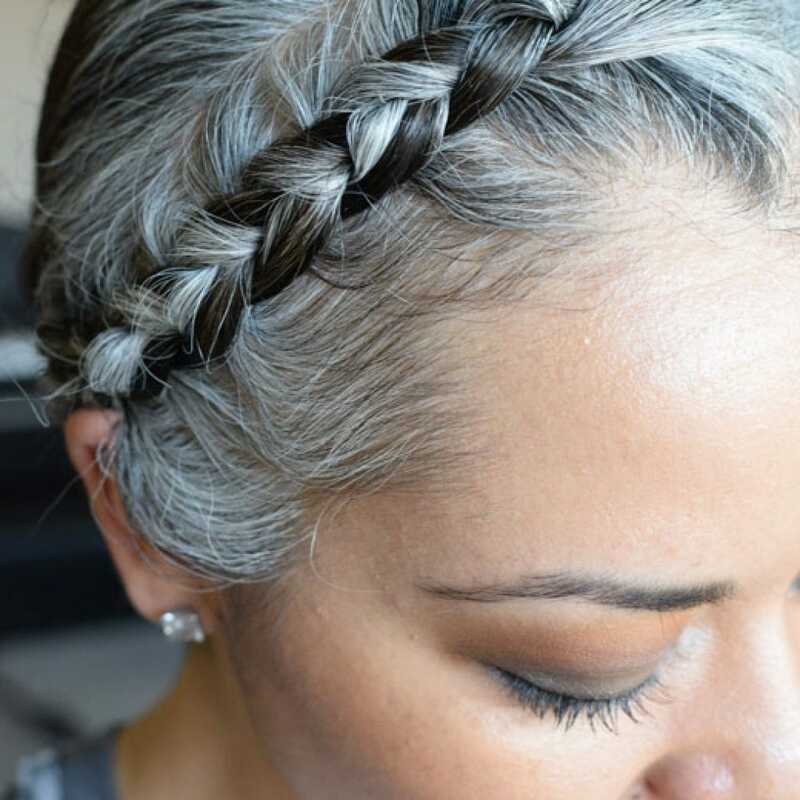 They proved to me that grey hair can be beautiful regardless of age. Any subconscious stereotypes that may have been hiding deep within me were immediately kicked out the second I laid eyes on those women. They weren’t as young as me, but I knew that age meant nothing when it came to the God-given hair color we were meant to have. 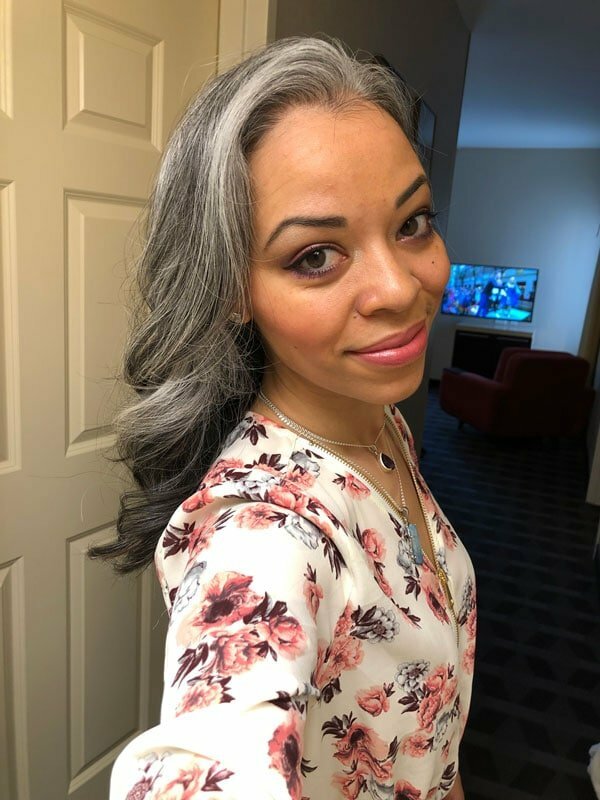 Thanks to them, I owned my grey hair journey with confidence, and pushed through those uncomfortable months, knowing there was light at the end of the tunnel. It makes me so happy, knowing that I’ve inspired others as well. I feel like I’m helping to change the way the world views all of us silver beauties. 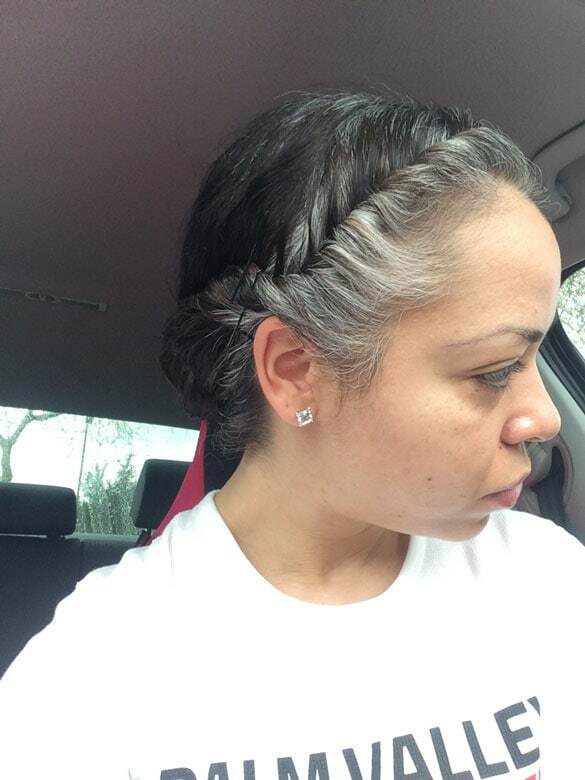 I top it all off with ECO Style Black Castor & Flaxseed Oil Gel. 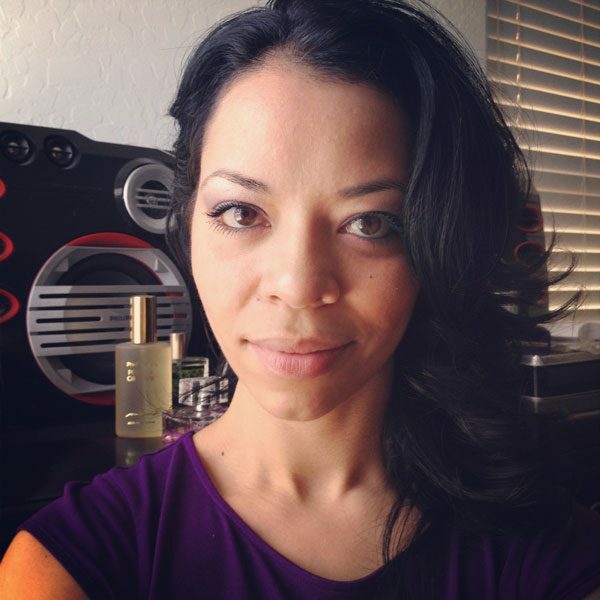 I’ve been air-drying my curls, but when I want more volume and bounce, I break out the diffuser. I’m still in disbelief, but I am so grateful to Katie and all of the other ladies who are encouraging all of us to share our stories and our journeys with the world. 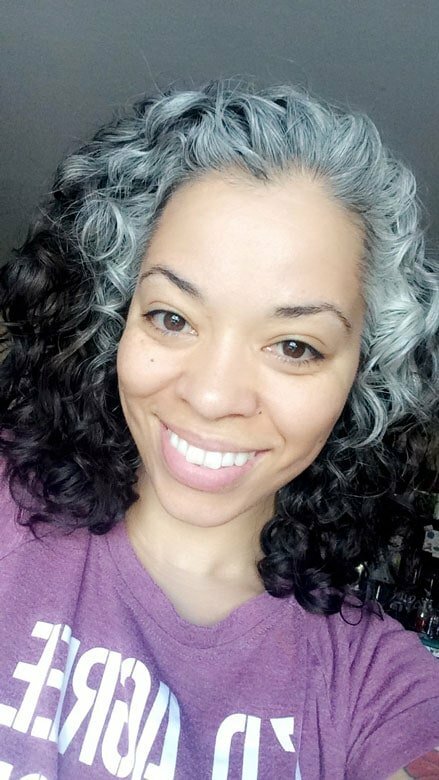 There will be a time when we look back and tell our grand-children that WE were a part of the grey hair movement that rocked the world. Thank you so much for being my inspiration. Those of you reading, those of you modeling, acting, living your best lives because you embraced who you are. I love you all. Beautiful and Brava! You are an inspiration inside and out. I still find it surprising that it continues to be such a big deal. Society really does work double time on keeping women to certain norms, and I love saying, “NOPE.” The future is SILVER, and WE started it! Thank you for sharing your story.